It’s rare to see a woman as head of a white collar criminal defense practice at a law firm in the United States. 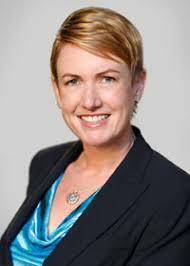 But Jessica Nall proudly heads the practice at Farella Braun & Martel in San Francisco. After graduating Harvard Law School in 2001, she went to Farella Braun and has been there ever since, climbing up the ranks. In 2016, we interviewed Sidley partner Karen Popp and wrote a story about women in white collar. We came up with a list of 150 women in white collar criminal defense. How is it at Farella Braun? How has it changed in the years since you have been in the practice? What are you noticing about women prosecutors? Do you see that as a fundamental difference – it’s more reasonable? There are male partners in big firms who are uncontrollable. But then there are partners who are more considerate. Isn’t it just about basic decency and not going overboard when it’s not called for?